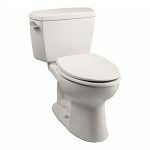 American Standard has proven it is able to provide American made quality in a toilet that truly works for the way we live today. 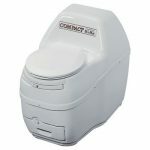 If you don’t believe me, you should read our H2Option toilet review to see what makes this such a great toilet option. It will prove that we are not the only ones giving credit where credit is due. 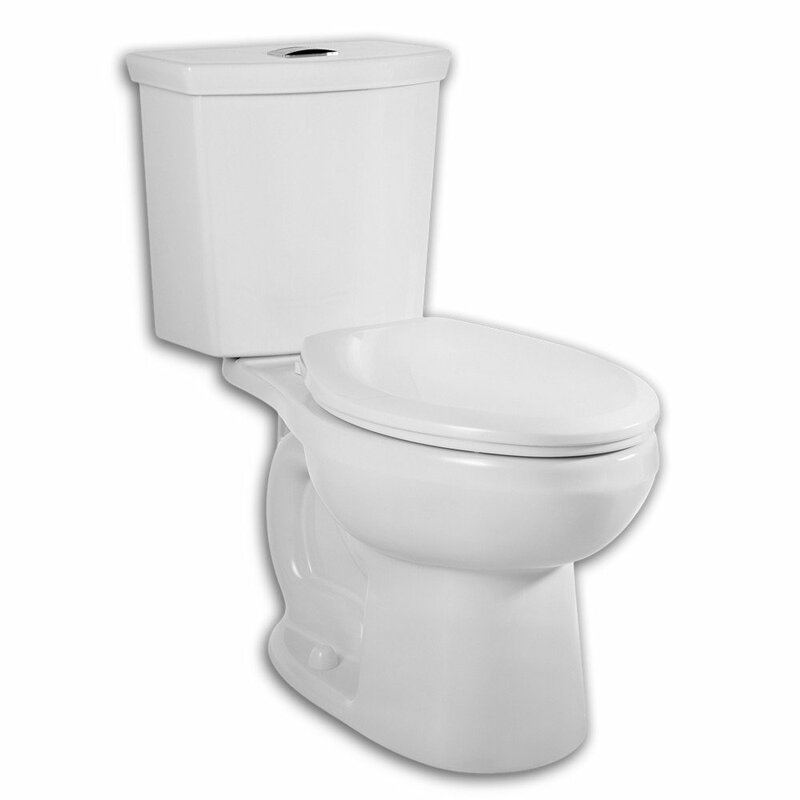 This toilet is available in either an elongated bowl or round bowl style. They are both going to require a 12-inch rough in. Neither will have a seat included with your purchase. However, they are two-piece toilets so that carrying and installation is going to be easier for some. 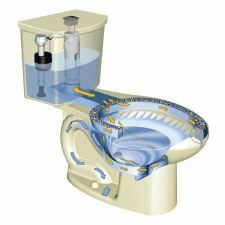 It is a dual flush system which means that you can save a fair amount of water each month, per person in your home. 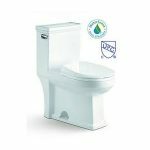 When it comes to flushing solids, you can choose to flush using 1.6 gallons of water. 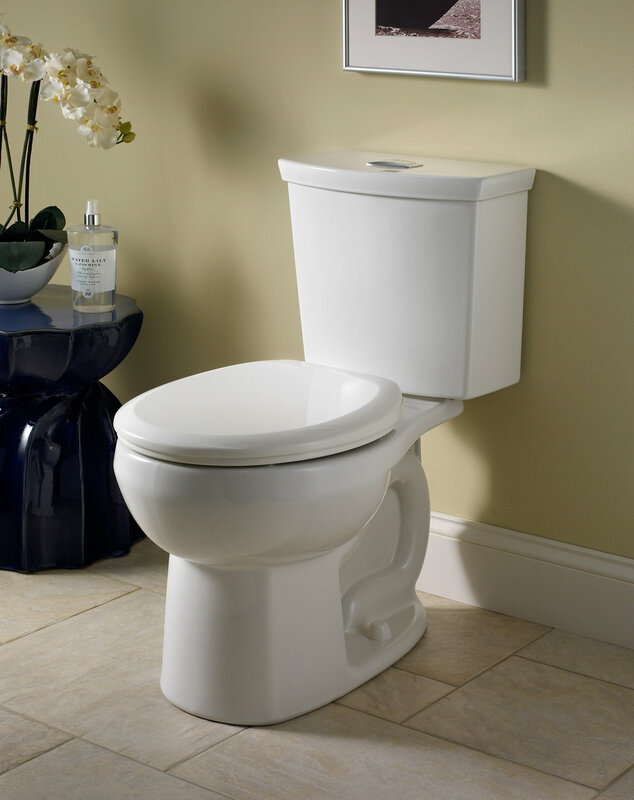 If it is only wastewater that you are flushing, you can handle the flush using only a gallon of water. However, you will not feel as though you are lacking a quality flush by using so little water per flush. It uses Siphonic Action technology and has earned its rating as a maximum performance rating. This is the reason it made our list of the top 5 dual flush toilets. This toilet is also a comfortable 15” at the seat. Ideal for most people. It is made of Vitreous china and treated with an EverClean surface to ensure that nothing is able to leave a stain. You do not have to worry about mold or mildew forming ever again. To further ensure that you have a thorough flush, it has a PowerWash rim. This means that water is fed into the rim’s chamber by the tank and then it is trapped there until you flush. Once flushed the jet powered siphon kicks in so that the entire bowl is flushed with water at a powerful rate. This cleans everything all at once so you will have to clean less often. The H2Option is also designed to be easy to install. There are pre-assembled parts and factory installed bolts, grommets, and other things. All of this makes the toilet easier to hook up so that you can have a functioning toilet in 30% less time than other toilets. 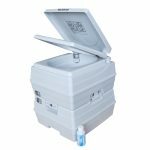 After more than ﻿350 reviews, the H2Options toilet has an average rating of 4.4. This proves that a majority of the people who have purchased it, give it a total of 5 stars. 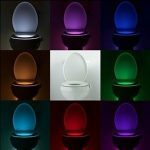 Most are amazed by the way this toilet looks and the way it flushes. Many say that it flushes out as well as described if not better. 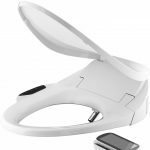 They admit that it is costlier than other toilets, but they do not mind because of how well it functions. The biggest reasons that someone may have small issues with it is that stool does not always go away if it is above the water line. They also feel that for the price, you should not have to purchase flange bolts and wax rings separately. Most do not mind that you need to purchase a seat separately because it gives them the freedom to choose the right seat. 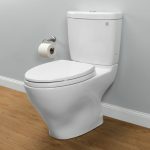 Some people have had issues with the toilet arriving damaged, but even this is covered by the warranty, so it is not as big a deal as it may at first seem. This is not one of the cheapest toilets available, but it does everything that it promises to do. We personally feel it is a reasonably priced throne. 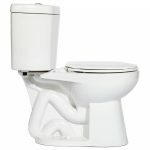 It is a two-piece toilet so you do not have to lift as much weight when installing and it flushes out reasonably well. 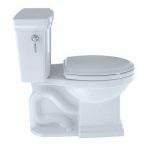 The issues that most people have with it are easy to overlook if you want a quality toilet at a decent price. We also like the flush is handled by pushing a button on the top. 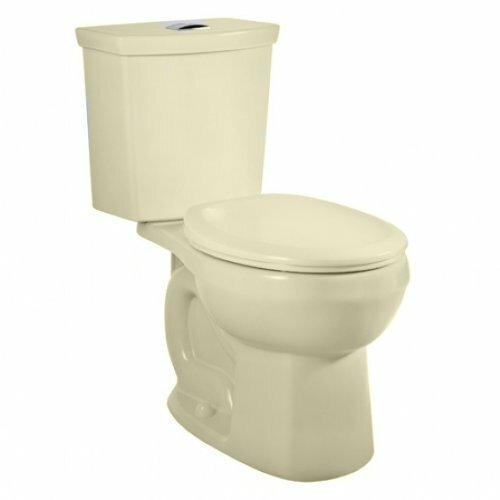 This gives the toilet a sleeker look and makes it slightly different from the toilets in other homes. Ready to Purchase the H2Option?